After seeing this book mentioned a lot on Twitter and reading the synopsis, I was finally swayed to give it a shot (I couldn’t say no, the price was practically a steal for my Kobo!). Initially I downloaded it as a cute, fun, easy read but, by the time I got to the end, it was much, much more. Now, I’m going to be completely honest here…I binge read almost the entire book one night between about 5 pm and 1:30 am. I felt like a teenager all over again and loved every second of it. During my reading marathon I allowed myself to just get completely caught up in the story and all the emotional reactions I was having to what happened. Sometimes I really enjoy just getting lost in a book and not reading it with much of a critical eye. I was sucked in by the story, the characters (if Tim doesn’t make you swoon and remind you of one of your past crushes, I think you may be a robot), and the “feels” (thanks for the lingo, Tumblr). When I got to the end, I let myself bask in the giddiness of things tuning out exactly as I predicted and was hoping it would. Then my teacher brain turned on and…DING DING DING!! This book is so much more than a fun story. Ella Martin presents us with such an incredible teachable moment for the young men and women that are just reaching the “dating age”. 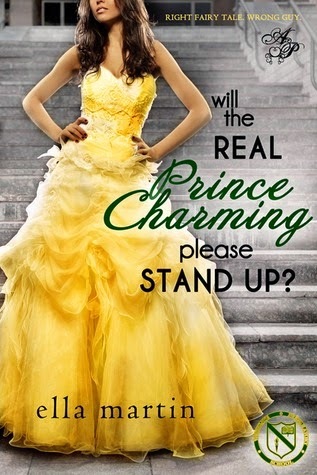 Will the Real Prince Charming Please Stand Up? deals with the touchy topic of abusive (emotionally, mentally, physically, etc.) relationships in such a wonderful way. It draws attention to the fact that yes, this is a real problem and maybe even for young daters. It also highlights the importance that nobody should be treated that way and everyone deserves to be respected in relationships. Relationships like that can be incredibly dangerous for people, and I really enjoyed how the novel highlighted the importance of getting out of those situations and making sure you get help if necessary. It wasn’t done in an excessively graphic manner, but it also didn’t downplay the severity of abusive relationships. Teachable moments aside, I just plain loved the book. I wan’t to find someone that cares for me as much as Tim cares for Bianca. I liked how similar I felt to Bianca. My dislike for Dante was strong (I was seething at certain parts he appeared in). I loved the sibling relationship between Brady (Tom Brady inspired??) and Bianca. All the characters were just fantastic and I really liked the story line. Very rarely do I get that attached to a book, but I pretty much didn’t put my Kobo down for 8 hours. FINAL VERDICT: I loved this book. I will likely read it again as well, probably with my teacher eyes a little more focused on what can be taken from the novel aside from an awesome, fun read. I’m also currently on the hunt for somebody to be my Tim. Still no luck.